يشكل فندق Avocado Sunset Bed and Breakfast بموقعه الممتاز في قلب جبل تامبورين نقطة انطلاق ممتازة لاستكشاف جولد كوست. لا يبعد الفندق كثيراً عن مركز المدينة، فهو يقع على بعد 2 km منها. في حين يستغرق الطريق منها إلى المطار حوالي 70 دقيقة. كما يمكن الوصول بسهولة إلى Tamborine Mountain Distillery, مونت تامبوراين, Tamborine National Park. يقدم Avocado Sunset Bed and Breakfast خدمات لا غبار عليها وكل أشكال اللياقة وحسن الضيافة اللازمة لإسعاد ضيوفه. إن واي فاي مجاني في جميع الغرف, مدفأة, تخزين الأمتعة, واي فاي في المناطق العامة, صف السيارات هي جزء فقط من الخدمات التي تميز Avocado Sunset Bed and Breakfast عن باقي الفنادق في المدينة. ادخل إلى واحدة من الغرف 4 وتخلص من عناء نهار طويل بمساعدة مجموعة كبيرة من الخدمات كمثل تلفزيون بشاشة مسطحة, اتصال لاسلكي بشبكة الإنترنت (مجاني), حوض الاسترخاء, غرف لغير المدخنين, مكيف هواء الموجودة في بعض الغرف. كما أن مجموعة الخدمات الواسعة الموجودة في الفندق لضمان راحتك تترك لك الكثير من الخيارات لقضاء وقتك أثناء فترة إقامتك. إن كنت تتطلع إلى إقامة مريحة وهادئة في جولد كوست، فستجد في Avocado Sunset Bed and Breakfast بيتك الثاني. To call this just a B&B is bordering on the absurd. There may only be 4 rooms available and they may only cater for couples and not have availability for children. And it may be in a quiet area with not a great deal to do locally in the evening but... If you want to experience some of the best rooms you’re likely to come across with some of the best views possibly in the world never mind Australia then for that special occasion and even just as a well deserved treat this has to be a must visit place. 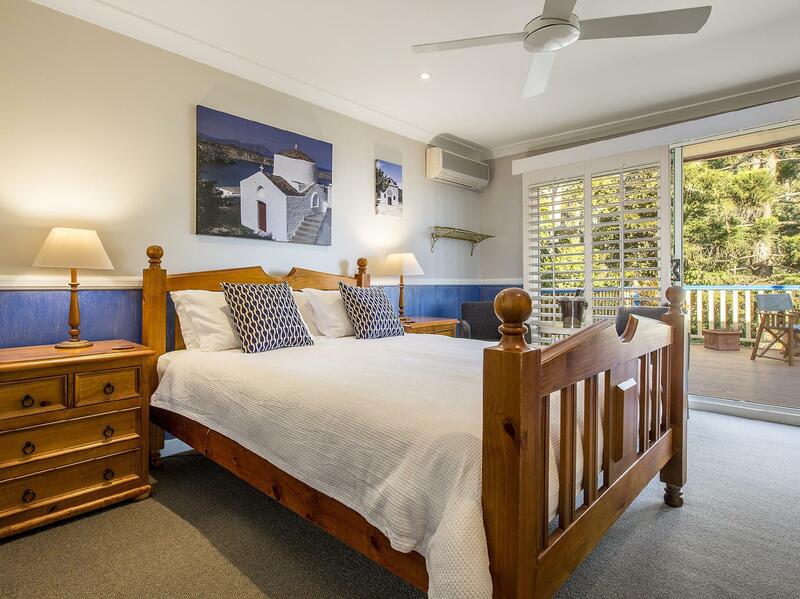 The owners look after and pamper all of the guests, breakfasts are generous and freshly cooked to order and the beds are as comfy as we’ve slept on. And did I mention the views. Truly heaven on earth. Don’t take my word for it...book immediately! Fabulous B&B. Everything was extremely well thought-out, from arrival to room to breakfasts. We will come back again. It's a fantastic place!! Nice room nice facilities, the best nice are the hosts! The view of the room is so incredible. I enjoy the sunset. If I next go to tambourine, I will still choose this hotel. Kind host, wonderful view, yummy brekkie and clean room! 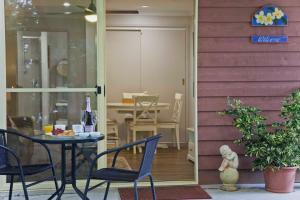 Everything was perfect :-) If i travel to tamborine Mt., i will stay here again! We had a very pleasant stay, definitely will be back again! A one night stay while visiting mt. tamborine, but next time would stay longer. We had the oriental suite and could not fault a single thing about the whole place. In fact we had the chance to look at all the rooms and they were all very nice. Big rooms with a dvd player and a big selection of dvd's to choose from. Pretty comfy bed and a very large communal sitting rooms with great views Also just outside this, a large veranda with views to the distance and all of the gardens.Very peaceful and quiet with birds and nature everywhere. The hosts are very welcoming and great to talk to, and very informative about the place and area. Breakfast was great, even using their free range chicken eggs. Overall faultless. Would definately recommend. Short drive into town. Buffet breakfast was lovely, host were so helpful in every aspect. Beautiful views from main and private balconies. Cheryl and Richard were welcoming and friendly always ready to tend to any requirements, topped off with fantastic views our weekend was a memorable one. Great location and experience. The view was incredible and very good hosts. Would stay again. Had a fantastic stay here only regret is not staying longer!!!! Absolutely stunning spot, staff were more than accomodating, beautiful breakfast, and very relaxing stay. Hope to stay 2 nights next time. We cannot fault Avocado Sunset. The hosts Cheryl and Richard are just lovely and make you feel very welcome. 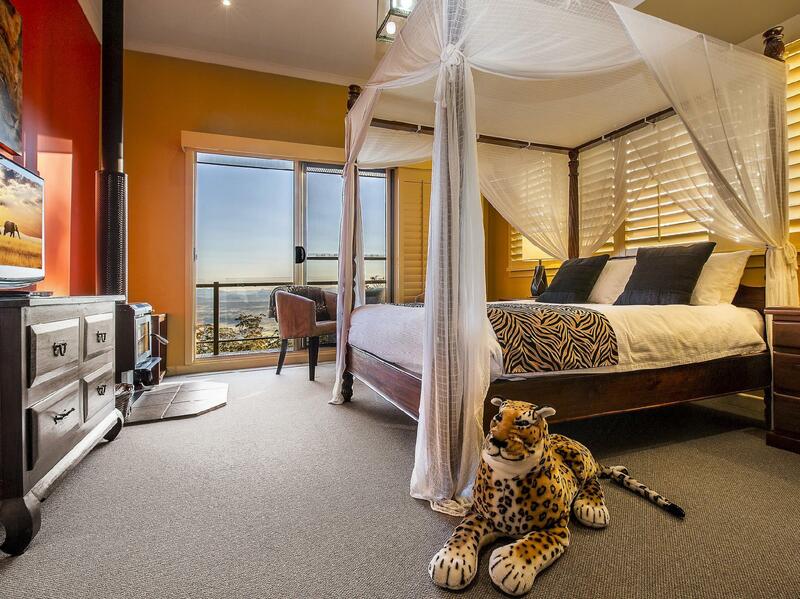 We stayed in the safari room which had amazing views and a very comfy bed. Would stay again in a heartbeat! The Sunset view was Awesome, the room was very clean and new. The bedsheets were all pure clean white, it gave us a sense of calmness and were fully assured that we are sleeping on clean sheets. We really enjoyed our stay so much. Hosts are very nice and friendly. Breakfast that was prepared daily was superb. Room is very clean and everything in it is very well thought of and prepared. Daily sunrise and sunset views, and also starry night views were unforgettable. Would love to go back again. We felt very welcome as soon as we arrived the host was friendly and most helpful. He was very informative about eating venues. A very relaxing venue and an ideal location to check out the surrounding area. As me and partner arrive to this beautiful place, we were already overwhelmed by how friendly the owners is. Opening the entrance door, REMEMBER NOT TO OPEN YOUR MOUTH TOO LONG, the view is absolutely AMAZING! The common living area for guest is absolutely beautiful. Make sure you watch out for sunset between 5PM and 6PM depends on the season and sit at the balcony with some wine/pot which Mt. Tamborine is famous for and enjoy that beautiful breathtaking view of the mountains with the love of your life right next to you. JUST PERFECT!ROMANTIC! The room were kept very clean. 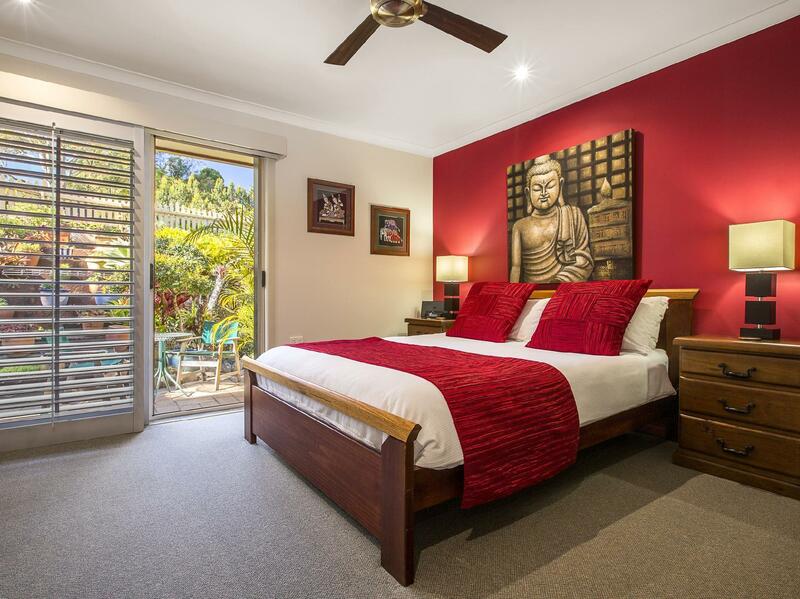 Avocado only have 4 rooms all in different themes and make sure, you book it early if you wish to have some awesome view from your room over looking the mountains, The Daintree Room is what you are looking for, and maybe, some fun - The Safari Room. Is good to sleep in during holidays but NO! Don't miss out on breakfast! Home cook fresh made by the owners and absolutely a 5 star and the owner are gorgeous. 5 star to their hospitality too. If you did not plan what you like to do/see/eat at Mt.Tamborine, do not worry! The owners has compile all restaurant, cafes, sightseeing location and recommendation in a book for you in your room that includes website, contact number and opening hours! Very thoughtful and helpful too. Avocado is close to all major sightseeing place and is recommended to rent a car and drive around the mountains as public transport is not what you will be looking for unless you wish to walk. Driving around the mountain from one place to another might only take you less than 5 minutes and maybe up to 10 minutes maximum. 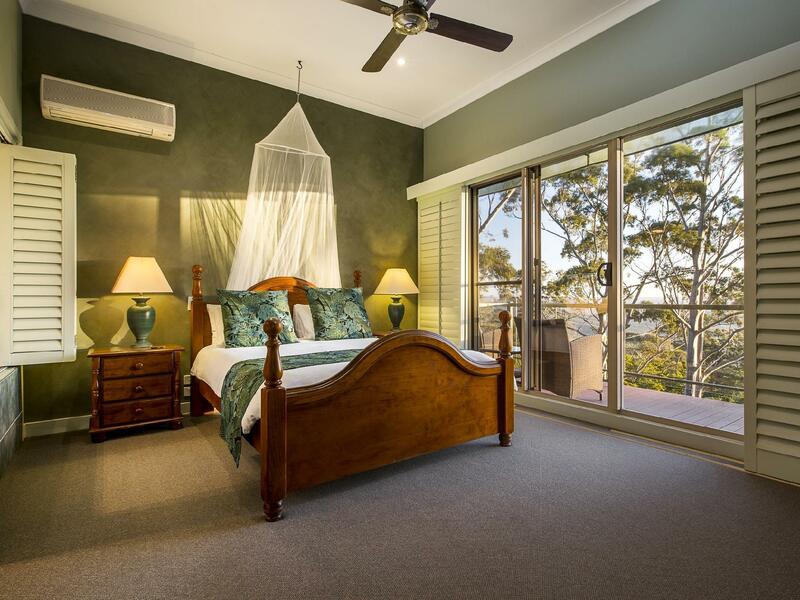 If your looking for a romantic weekend with your partner, Avocado Bed and Breakfast is absolutely the place. Price you'll be paying for, definitely worth it! Our stay was memorable. Our first B&B experience and it was definitely a good one!